NORTHERN ONTARIO – Ontario Beverage Network reports that the Northern Ontario Brewers Alliance – a collective of six breweries in Northern Ontario – has released an updated version of its Northern Ontario Sixer sampler pack. The second edition of the pack includes 473 ml cans of Highlander Lion Grass Golden Ale, Lake of the Woods Lakeside Kolsch, Manitoulin Swing Bridge Blonde Ale, New Ontario Tree Topper Red Ale, Sleeping Giant Mr. Canoehead Red Ale, and Stack Expansion Sour IPA. 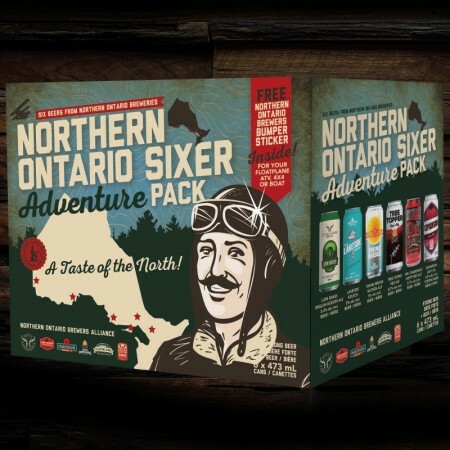 The Northern Ontario Sixer pack is available for $19 at select LCBO locations throughout Ontario.